It was 1978, Staff Sergeant Clark was leading his squad on a training exercise in a remote area of Camp Pendleton, California. Their mission: combat readiness. Their training weapon: .50 caliber rifles. Clark established the site, weapons ready and training underway, like any other day. Only this day, things went terribly wrong. A live round, stuck in the chamber and unbeknownst to the man behind the weapon, is mistakenly discharged during a cease fire and check of the perimeter. 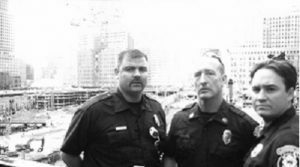 Clark and a fellow officer were about 200 yards out on the field, walking side by side, and perpendicular to the path of fire. No sooner than the sound rang out, they had both been shot in mid stride as they walked across the field. Clark was ‘lucky’. The bullet went through his wrist causing damage to his arm and hand. His friend and fellow Marine lost his right arm and left hand. The scene was gruesome. Clark, bleeding, in shock and wondering if he would lose his hand, bravely picked up his friend and carried him to HELIVAC rescue. Life changed that day. Why do I tell you this story? Because it is the foundation to everything that is now NFPT. Yes, life changed that day in a way that neither of these brave men could have ever imagined. In a mere second, their life plans were rewritten. 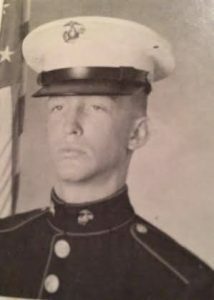 Ron Clark, then a 20 year old Staff Sergeant, was sent home wounded and hurting inside and out, but he made the decision to turn his pain to promise. At the time, he had no idea that his road to recovery would be the foundation of his mission to lead people to fitness and better health. 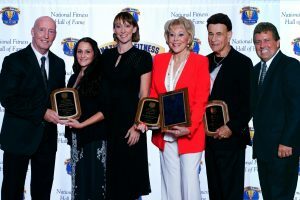 In 1988, Ron Clark founded National Federation of Professional Trainers, and he did it with true passion, and through literal blood, sweat and tears. Clark took his own training, initially for the purpose of rehab, to a whole different level. What started off as a need for healing, became an addiction to strength and fitness. Ron caught the ‘fitness fever’ and was determined to make it his life’s work. At first, this took the form of competitive bodybuilding. 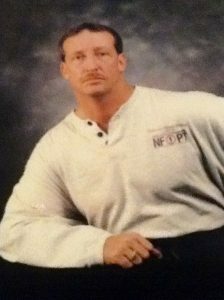 In the early 80s, Clark won Mr. Indiana, Mr. Purdue, NPC and AAU titles, he was on his own personal mission. But it wasn’t enough. He didn’t feel like he was affecting enough change. It was time to use his knowledge to help other people. He was constantly approached by gym members, asking him to help them get the results that he was getting (which we know doesn’t necessarily work for everyone…Ron happens to be blessed with good genes for bodybuilding, and a very strong will…but he knew he could help people, of all body types and fitness levels, to achieve better health and active wellness). corporate gym in his ‘down-time’. 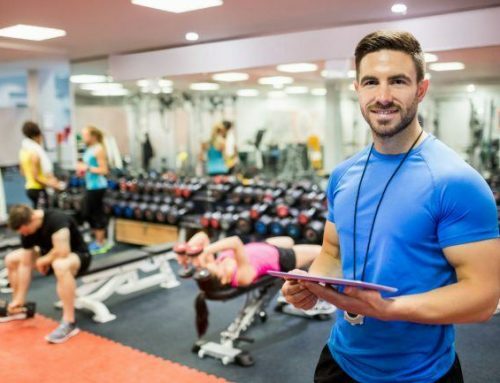 This eventually turned into his decision to lease a place so that he could build his own business as a private personal training studio owner. 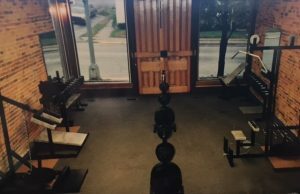 By 1986, The Fitness Clinic, Clark’s training studio, was open for business (coincidentally, only 4 blocks away on Main Street from where NFPT HQ is located currently). Ron did all of this while working his 24-on/24-off shifts with the fire department, where he served for 20 years before retiring as Sergeant. Ron Clark was always on a quest for knowledge and new skills. He is a uniquely driven individual who does not give up and never says quit. His hard-working, no-frills approach to life, and sheer determination, drove him every day. Ultimately, it led him to build NFPT. Early on, as a personal trainer, he had discovered the need for an education and certification that was ‘real-world’. He didn’t feel as though the courses, at that time, were as relevant to him for his day to day practice. So he set out on a journey to help people like himself to put their passion to work. 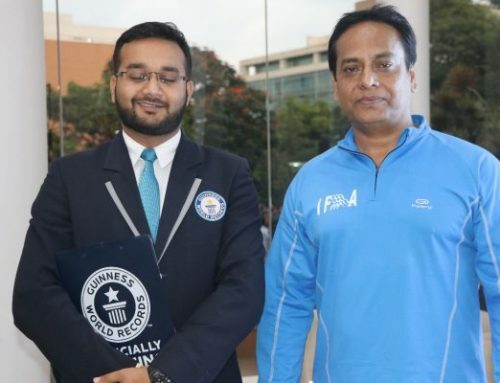 2) already certified trainers, people who want to demonstrate an all-encompassing knowledge with education and certification from more than one organization. 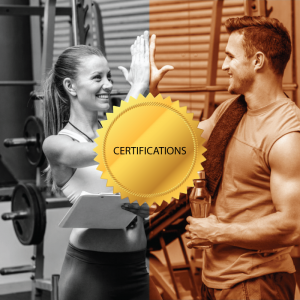 (Let’s face it, trainers with more than one certification are more marketable and more likely to be promoted, get a raise, and/or have the skills needed to pursue private studio training). NFPT’s inception was never a mission to compete with credible certifying organizations of the time (because most of them offer/ed/ clinical or specialty area approaches to certification). Ron Clark’s goal was to offer something different. Something that wasn’t available. NFPT brings it back to the basics, which sometimes simply means speaking plain language when talking about hard concepts. Often times the basics are overlooked, making goals harder and more frustrating to reach. The fitness industry ebbs and flows with trendy new ways to get fit and be healthy, but the ground level basics of why and how a person’s health is improving have little to do with the latest trend. Achieving better health and fitness is the result of understanding foundational concepts of exercise science, anatomy, physiology and implementing the right exercise program for the client as an individual. Inside NFPT HQ, and to the people who know him, Ron is known for his saying, ‘You have to learn to add and subtract before you can learn to multiply and divide’. NFPT stays focused on this theme in the way that it approaches education and certification. Understanding foundational exercise principles and using this knowledge to affect the most positive change is the ‘adding and subtracting’ that aspiring personal trainers should be skilled in before moving into the ‘multiplying and dividing’ of clinical, advanced level science and training methods. I could talk about all of the things that NFPT offers with its certification packages: the affordability factor, the ease of use with the prep tools or even the discounts for military, civil servants and current health club staff. But, when I think of what truly makes NFPT different, it’s one thing – great people. Call me biased. I am the Certification Director for NFPT, I am also Ron Clark’s oldest daughter and I’ve grown up watching him lead by example, work hard and never give up. Since 1994 I have worked in the NFPT family business. 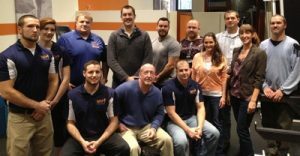 With a growing staff and network of professional friends and colleagues, we’re not all blood or marriage related anymore, but we are still a family of trainers, professionals, and friends who are dedicated to making a difference. We take great care in how we serve others. Our family of NFPT staff takes care of our family of NFPT trainers. We go the extra mile every time because we want to make a difference, small or large, in people’s lives. I try to think of how many other companies have a down-to-earth, actual human staff that picks up the phone on the first ring (during regular business hours, of course). Okay, so that’s a small example, but the smalls can have a big impact. With each ‘small’ support effort we are working to move NFPT-CPTs forward with us, toward their own personal successes. 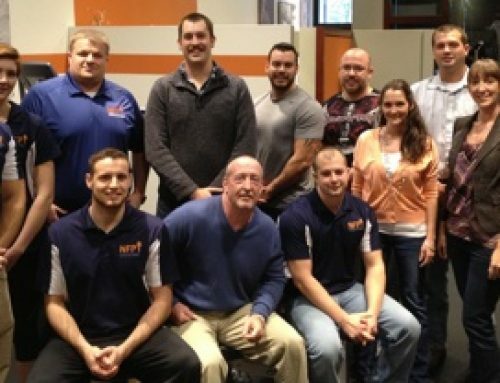 The NFPT organization, like its trainers, grows from passion turned purpose. Ron Clark’s road to recovery was not a small feat. But, every small step, even when it seemed impossible to move, were all points along the path that led him and our organization to a place of true and positive impact. NFPT supports goals of learning the ‘addition and subtraction’ of personal training but, ultimately, you are the sum of your steps. Take them with care and purpose. Know that you have the power to make a real difference in people’s lives, and, in small or large ways, you do it every day.